What is the AVERAGEIFS Function? The AVERAGEIFS Function is a Statistical functionFunctionsList of the most important Excel functions for financial analysts. 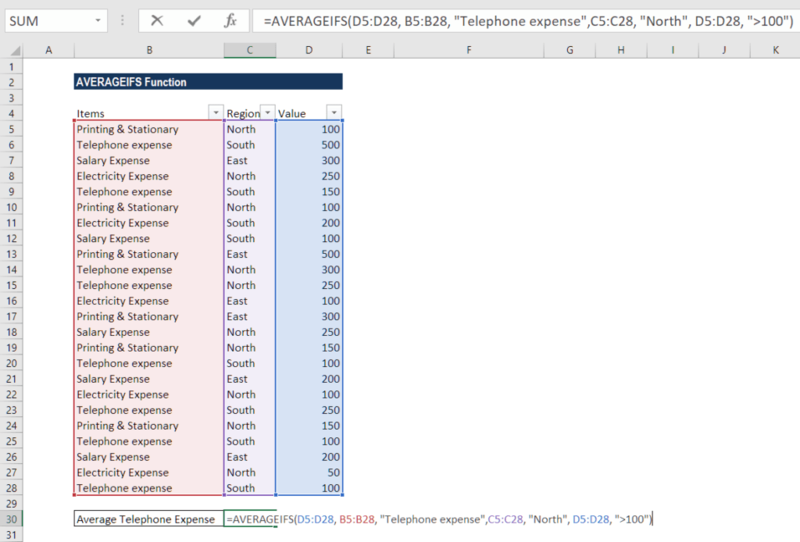 This cheat sheet covers 100s of functions that are critical to know as an Excel analyst that calculates the average of all numbers in a given range of cells based on multiple criteria. The function was introduced in Excel 2007. 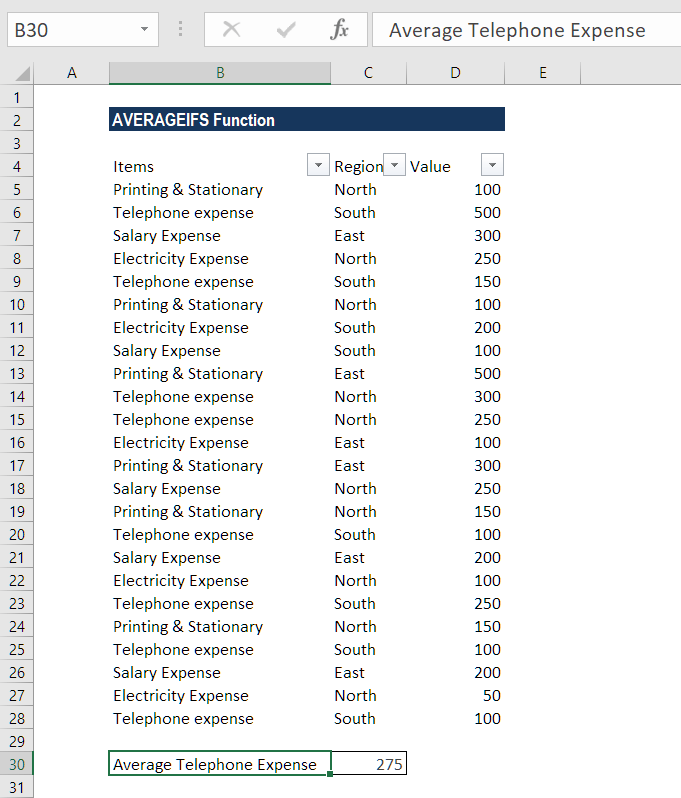 This guide will demonstrate how to calculate the average with multiple criteria in Excel. Average_range (required argument) – It is one or more cells that we wish to average. The argument includes numbers or names, arrays, or references that contain numbers. Criteria_range1, criteria_range2 range (required argument) – Criteria_range1 is a required argument. However, subsequent criteria_ranges are optional arguments. There can be up to 127 ranges and associated criteria. Criteria1, criteria2, … – Criteria1 is a required argument. However, subsequent criteria are optional. There can be 1 to 127 criteria in the form of a number, expression, cell reference, or text that define which cells will be averaged. For example, criteria can be expressed as 12, “12”, “>12”, “Cornflakes”, or A4. 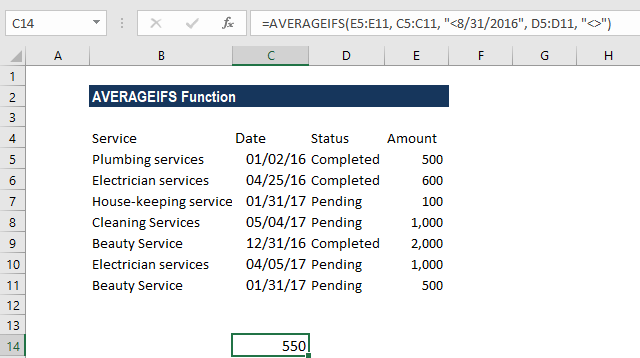 How to use the AVERAGEIFS Function in Excel? As we can see, only two cells (B11 and B12) meet all conditions, and therefore, only these cells are averaged. In criteria1, we entered the Telephone expense. In criteria 2, we used North and asked the function to average cells greater than 100. Argument average_range is left blank or is a text value. Cells in average_range cannot be translated into numbers. All the criteria are not met. 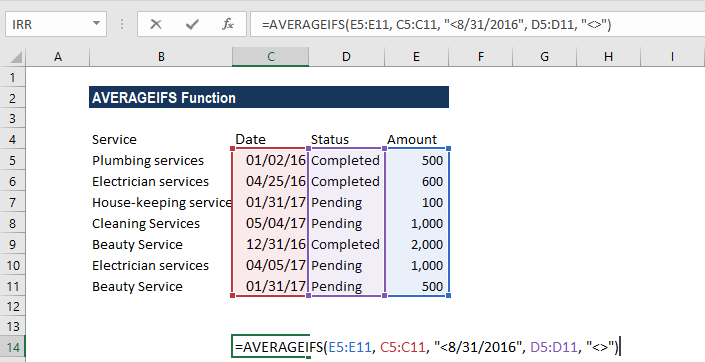 When any cell in criteria range is empty, this function treats it as 0 (zero) value. In AVERAGEIFS, each criteria_range must be the same size and shape as sum_range. We can use wildcard characters such as question mark (?) and asterisk (*) in this function as criteria. A question mark matches any single character; an asterisk matches any sequence of characters. If we wish to find an actual question mark or asterisk, we need to type a tilde (~) before the character. When we use a number or date in conjunction with a logical operator in AVERAGEIFS’ criteria, we should enclose this combination in double quotes like “<8/21/2017”. 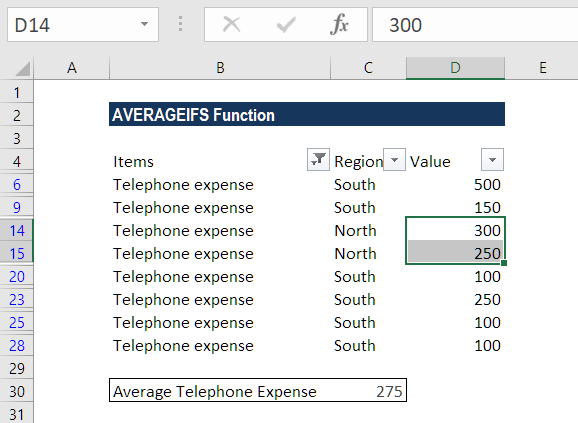 When all the corresponding criteria specified are true for a particular cell only, the average calculation is used for that cell in average_range. The AVERAGEIFS function evaluates cells in a range that contains TRUE as 1; cells in a range that contains FALSE are evaluated as 0 (zero).